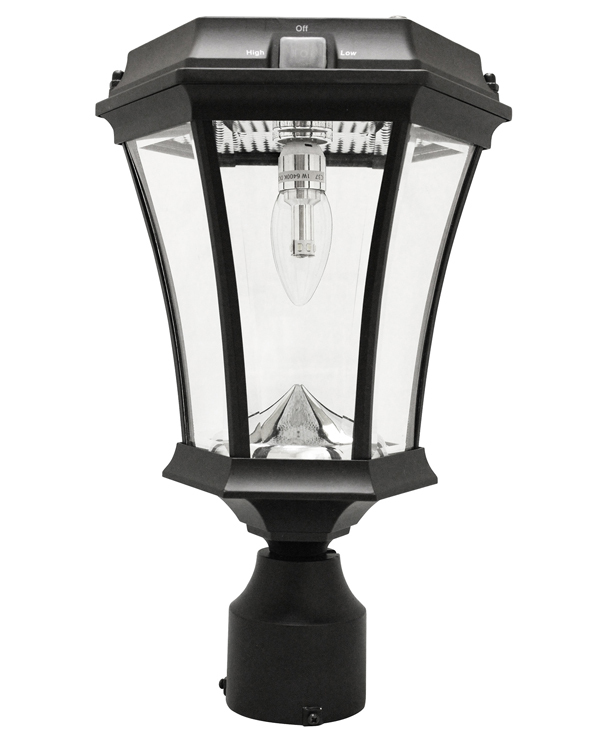 Like all of our Victorian Solar Lamp Posts, our new Victorian Triple Solar Lamp Posts combine modern solar lighting technology with classic 19th century gas light design. 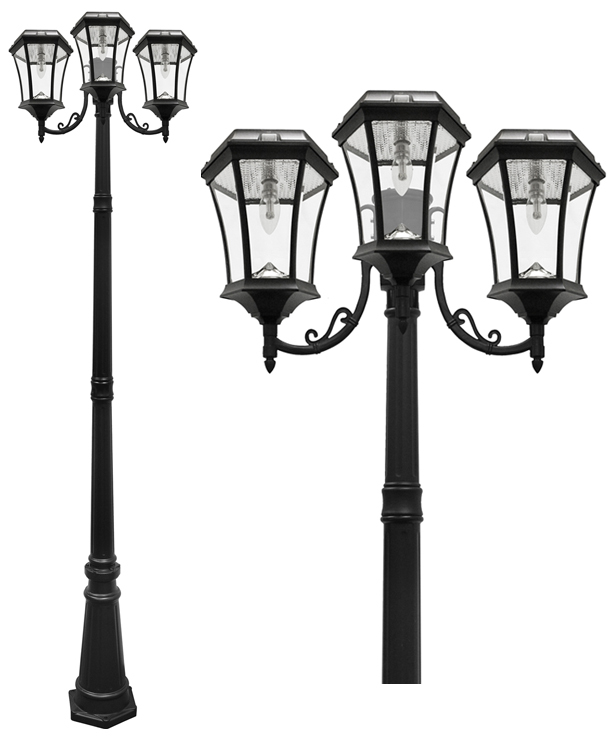 The new lamp posts have smaller reflective cones and new warm-tone LED bulbs for an overall look more like traditional electric lamps. 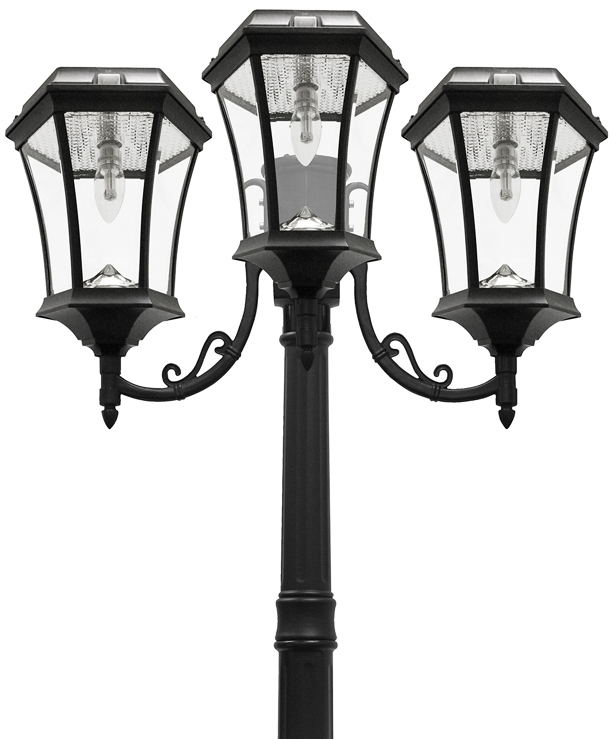 The Triple Victorian Solar Lamp Post with New Bulb and Reflective Cone features a combination three warm-tone solar lamps on a post that stands a stately 93 inches inches tall (lamp plus post). At 180 lumens in the high setting per lamp (540 toal lumens), the light is similar to that of a 60 watt incandescent bulb. In the low setting, the light is about that of a 50 watt incandescent bulb. On a full solar charge, the light will run 10 to 12 hours.